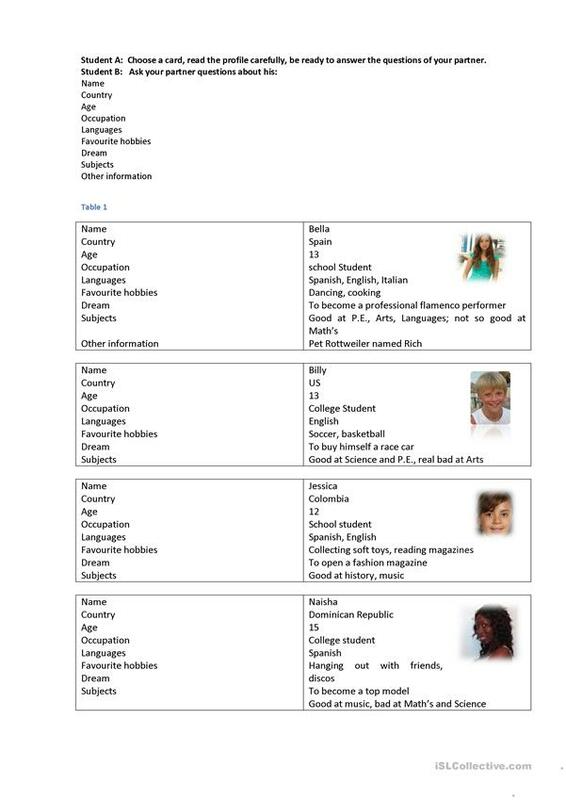 Student A: Choose a card, read the profile carefully, be ready to answer the questions of your partner. The above downloadable handout is recommended for high school students and elementary school students at Elementary (A1) and Pre-intermediate (A2) level. It is aimed at revising Questions: WH questions (open-ended questions) in English, and can be used for enhancing your students' Speaking and Reading skills. EFL/РКИ teacher. Qualified with Master's degree in teaching foreign languages and literature. Currently I give skype classes to adult learners of English as a foreign language.